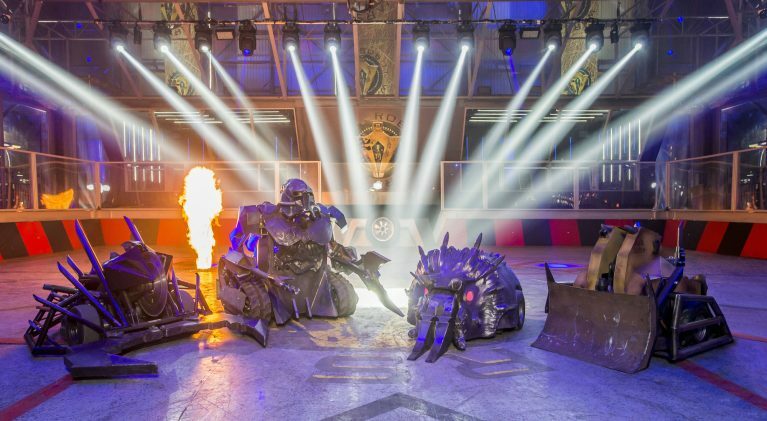 As we reported earlier this year, Robot Wars, one of the greatest ‘guilty pleasure’ shows of all-time, is set to return to the small screen in 2016. I loved this show when it was originally broadcast with Craig Charles (Red Dwarf, Coronation Street) and Phillipa Forrester! 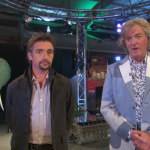 Thankfully, I never saw the first series with former Top Gear host, Jeremy Clarkson, as the original presenter. 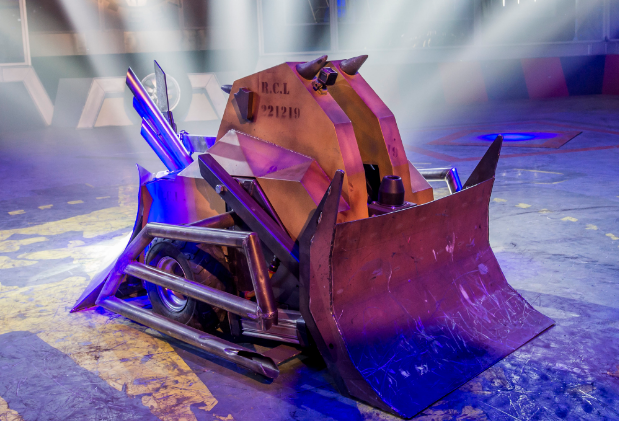 The original format for Robot Wars featured two teams of amateur enthusiasts who built their own robots, a.k.a. robotic fighting battle machines, and then marched them into a battle for supremacy all the while keeping an eye out for the ‘house robots’. 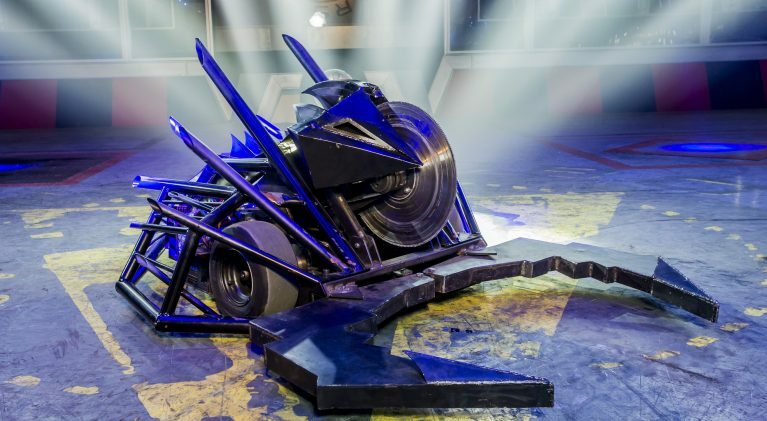 The 21st century rebooted Robot Wars will be filmed in a ‘bullet-proof’ purpose-built arena in Glasgow, with the audience brought closer to the destructive machines using state-of-the-art cameras capable of capturing every crushing, sawing and scorching moment in incredible detail. According to the BBC, the 21st century house robots have “…evolved and been upgraded to modern-day standards to be even more impressive and even more menacing“. 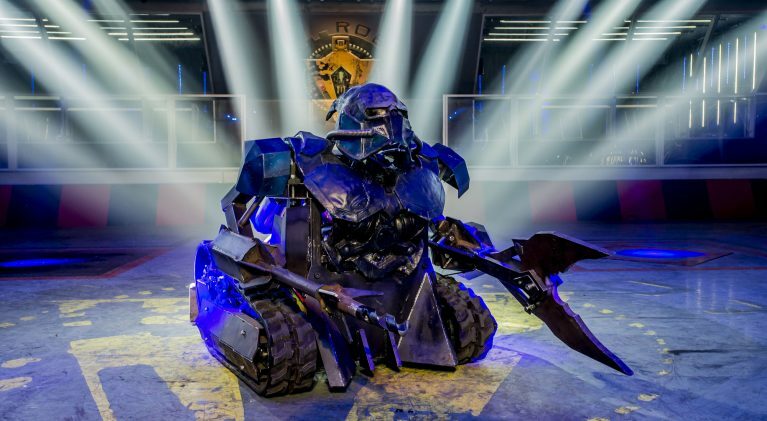 Sir Killalot 2.0 will weigh in at a mere 741kg – the old version was a paltry 520kg. The added drill lance and super-sized jaws are obviously not just cosmetic additions for Sir Killalot either. Each arm can lift up to 300kg and the claws can crush with 2.5 tonnes of force. Sir Killalot will top out at around 10mph, twice the speed of the old version. The great thing about television is that even though we once thought that a return of Matilda just wasn’t going to be in the cards after her demise at the hands of Razer over a decade ago, along comes the lovely new 2.0 Matilda to protect the house. Looking marvelous with her terrifying new red LED eyes, the new look Matilda will weigh in at 350kg (versus a previous weight of 116kg), can travels at 14mph and her CO2-powered head can lift 1.5 tonnes. Looks like Dead Metal 2.0 will definitely keep its classic crab pincers and circular saw combo – the saw spins at 340kph and is 450mm wide. He’s also over twice the weight of the old model at 343kg. And given that core stability is a key robot design requirement, check out those fancy new tires. And, finally, there’s Shunt 2.0. Showing just how big the 20126 House Robots have become, Shunt 2.0 will sport fatter tires and an enlarged bulldozing scoop. The new Shunt will weighs in at 327kg (versus and old weight of 105kg) and will feature a “new high torque drive” with enough power to tow a van, according to producers. Sadly, what you can’t see clearly from this picture is the titanium swinging axe, which fires at the speed of 0.25 seconds. Not sure of the necessity for a ‘bullet-proof’ arena, but a lot has changed since the old days of destroying your competitor by simply flipping them over, setting fire to them and then shoving them into the Pit of Oblivion so I guess we’ll just have to wait for the fun to begin later this year to find out. 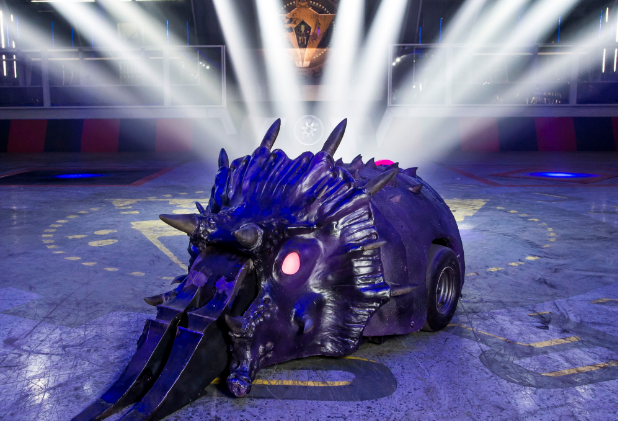 The six-part Robot Wars series will air on BBC2 later this summer with, hopefully, a public television broadcast not to long after!